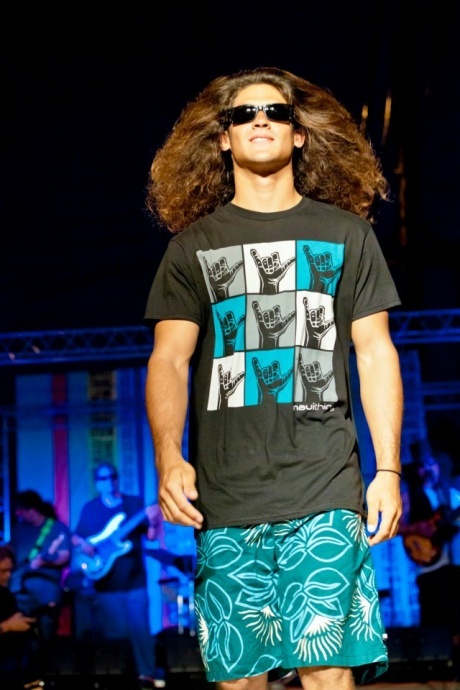 Maui Thing 5th Anniversary fashion show featuring The Green. Photo by Wendy Osher. 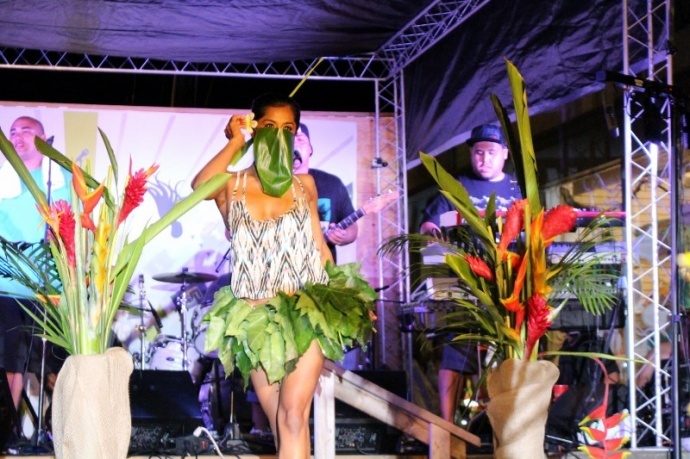 In a double unveiling, Wailuku retailer, Maui Thing, unleashed its summer clothing line and hosted a mystery concert by The Green as a backdrop to its 5th anniversary fashion show. 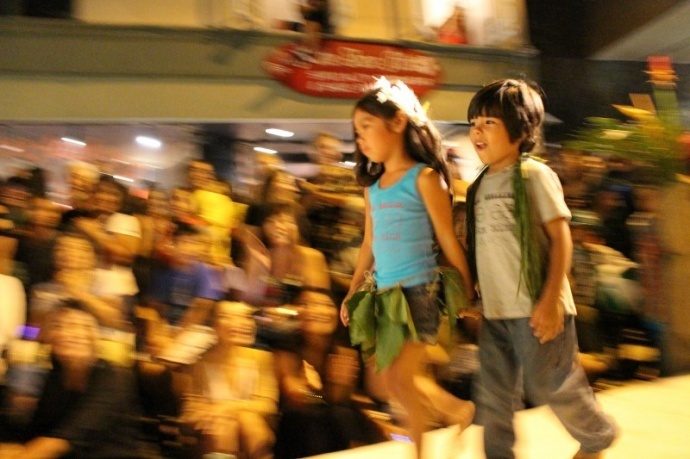 The event drew a wall-to-wall crowd on Market Street that stretched from Main Street past the Kamaʻaina Loan building, possibly the largest for any First Friday event, according to frequent attendees. 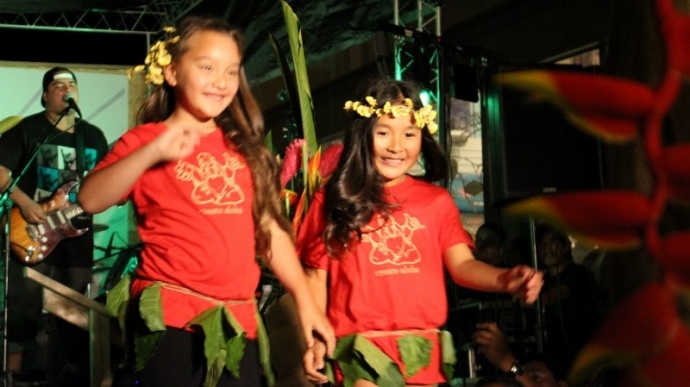 The fashion show theme, “Alive,” took on the same name as the popular song by The Green that speaks of memories, a life journey, and praise for the experiences of life. 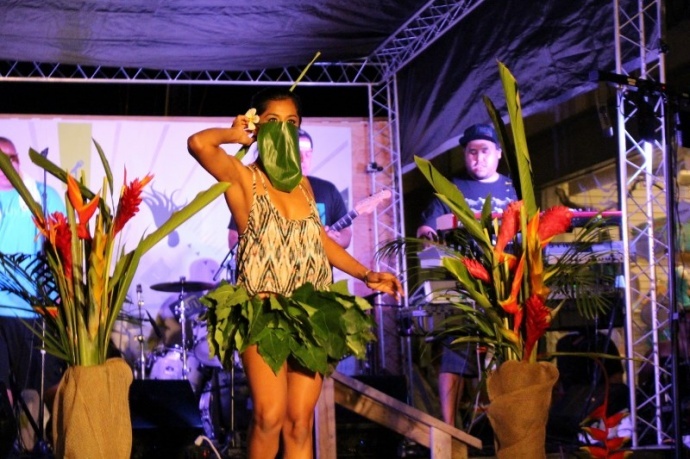 The show started with models donning ti-leaf masks and kukui leaf skirts, their faces mirroring the image seen on The Green’s Ways and Means and Love and Affection album covers that were released in 2011. Store owners say the show, like the song Alive, took guests through a life cycle, with the unveiling of the new designs and models, a reflection of brightness after death, and coming full circle with a rebirth. The Green played songs off of various albums including fan favorites Love I, Love is Strong, and the newly released, Something About It. 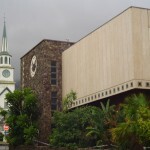 The “Five on the Fifth” celebration kept true to the company’s slogan, “Stuck on Good,” which has served as the inspiration for designs at Maui Thing for the past five years. 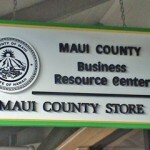 Retail manager Leslie Cummings said the new summer line is now available at the store, located at 7 North Market Street in Wailuku.